It has been said that you don’t know where you're going if you don’t know where you’ve been. 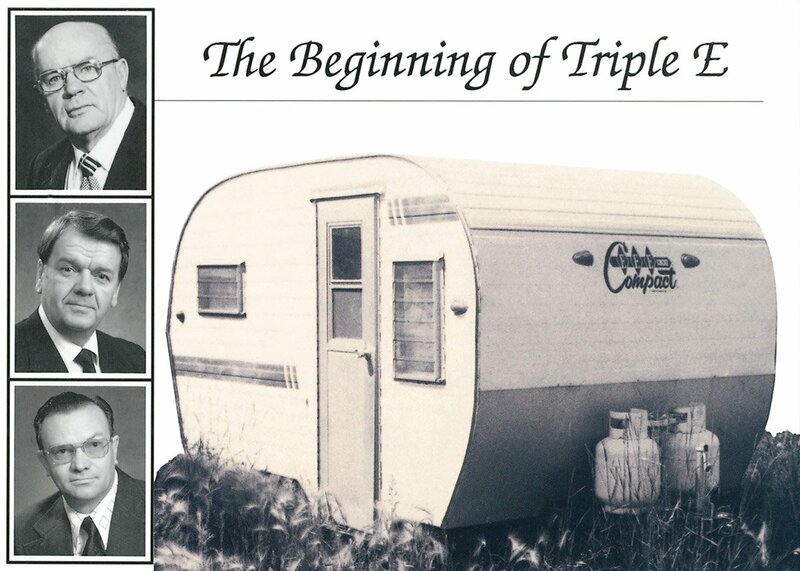 For Triple E Recreational Vehicles, our journey started more than 50 years ago with a small 13 foot travel trailer. 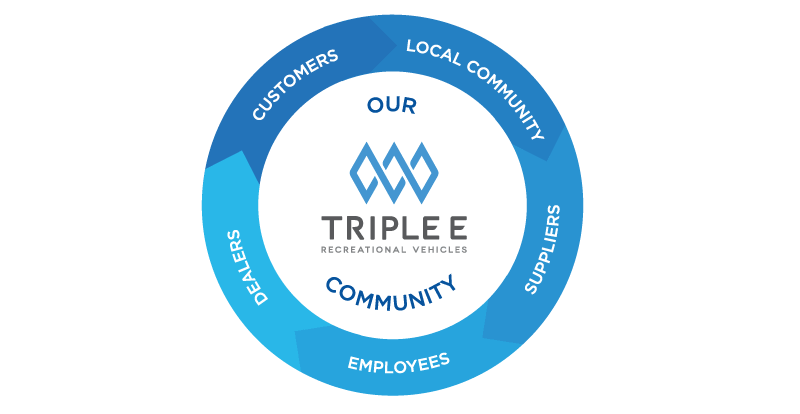 Today, Triple E is a premier manufacturer of Class C motorhomes with a reputation for building the highest quality and most innovative luxury, compact RVs in the industry. Our story began in 1965 when P.W. 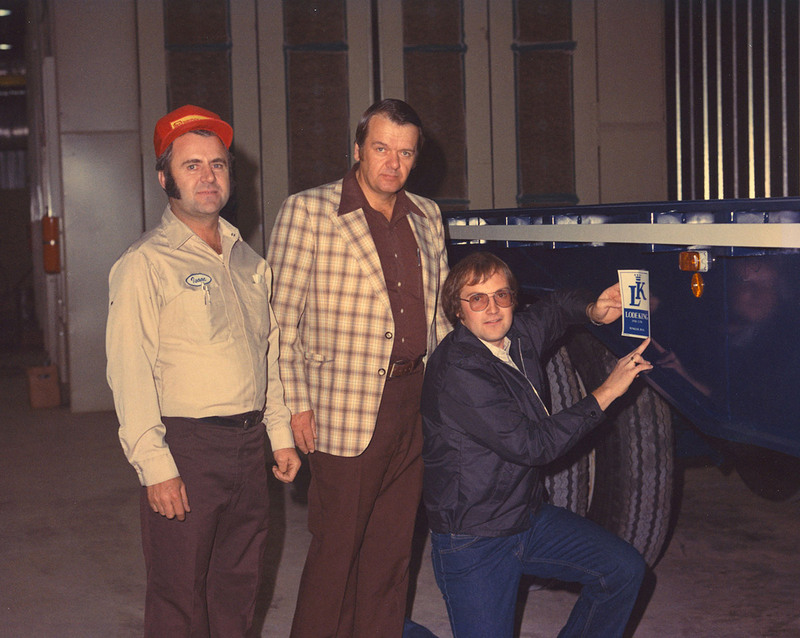 Enns, who owned a plumbing and heating business in Winkler, Manitoba, Canada, took an interest in manufacturing travel trailers while visiting Elkhart, Indiana on a volunteer trip. Arriving home with his newfound business venture, he enlisted the help of his two sons-in-law, Philipp R. Ens and Peter Elias. With enthusiasm and energy Triple E was born. 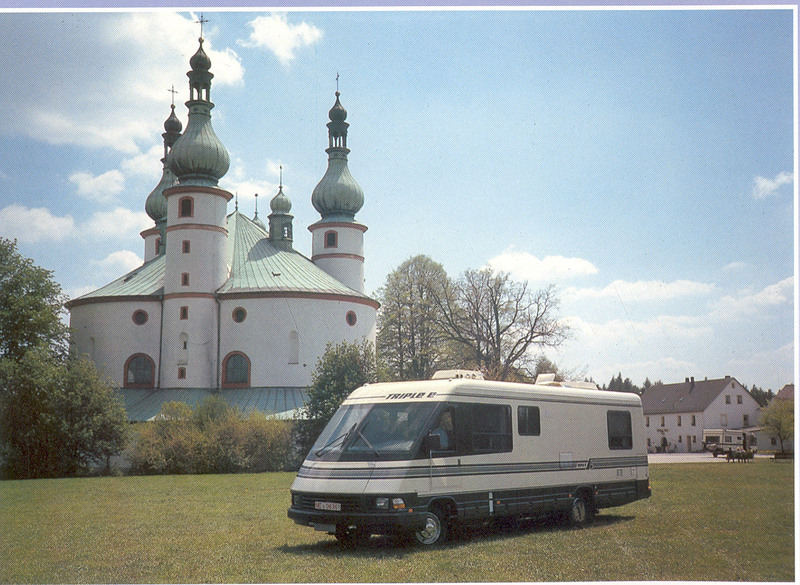 The three Es – Enns, Ens, and Elias, became the components of our name, Triple E Recreational Vehicles. Together they manufactured their first travel trailer, a 13-foot aerodynamic design they called the “Compact”. In 1966, Triple E’s first year of operation, ninety-seven 13-foot Compacts were manufactured. However the 1967 Montreal Expo brought a big increase in demand as Western Canadian families made plans to travel across the country. A 16-foot model was added, and production in 1967 increased to 327 units. 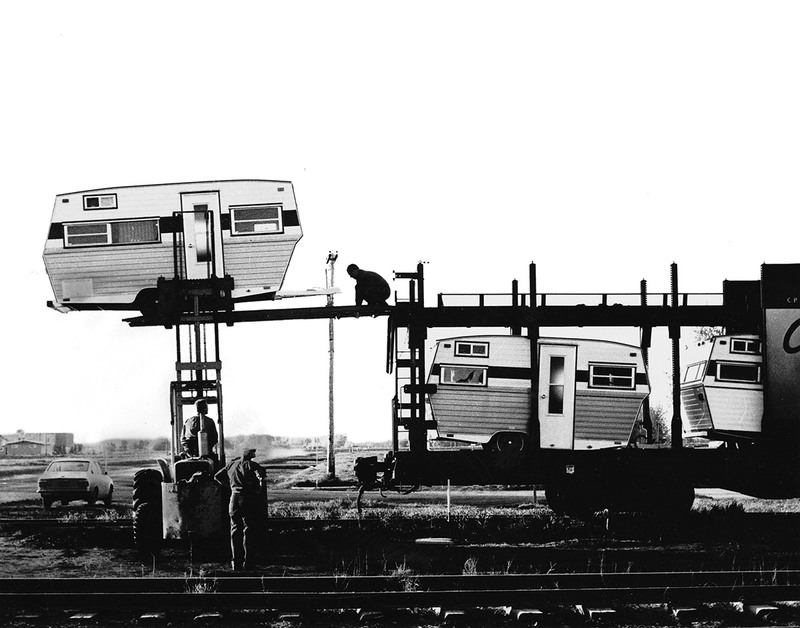 In 1967, Triple E introduced the first Class A motorhome designed and manufactured in Canada. “The Caravan” was constructed on a salvaged Ford chassis with a six-cylinder engine and four-speed stick transmission. Built on a one-ton pickup, the motorhome was constructed to be 22 feet in length, fully equipped with toilet facilities, hot and cold running water, shower, oven, refrigerator and wall-to-wall carpeting. In 1969, a controlling interest in Triple E was acquired by Vancouver-based entrepreneur Jim Pattison of Neonex Leisure Products. 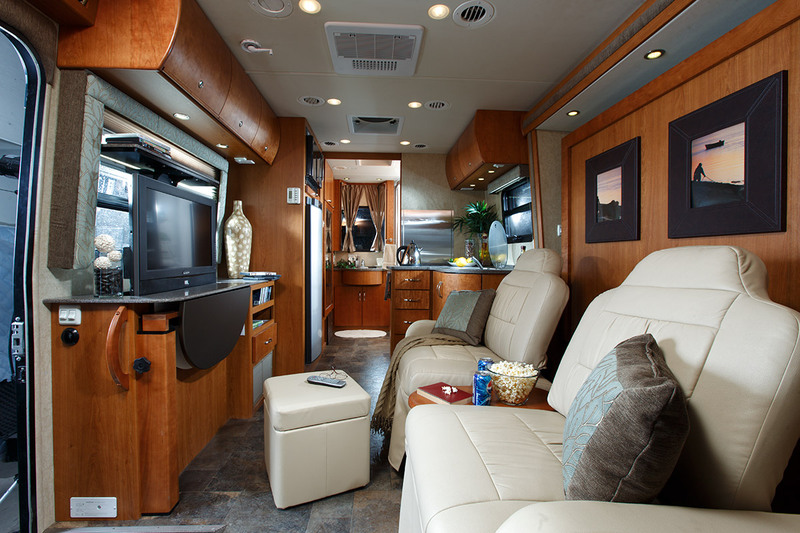 Pattison was acquiring Canadian RV manufacturers, and Triple E welcomed his business expertise and marketing skills to aid in its rapid growth. 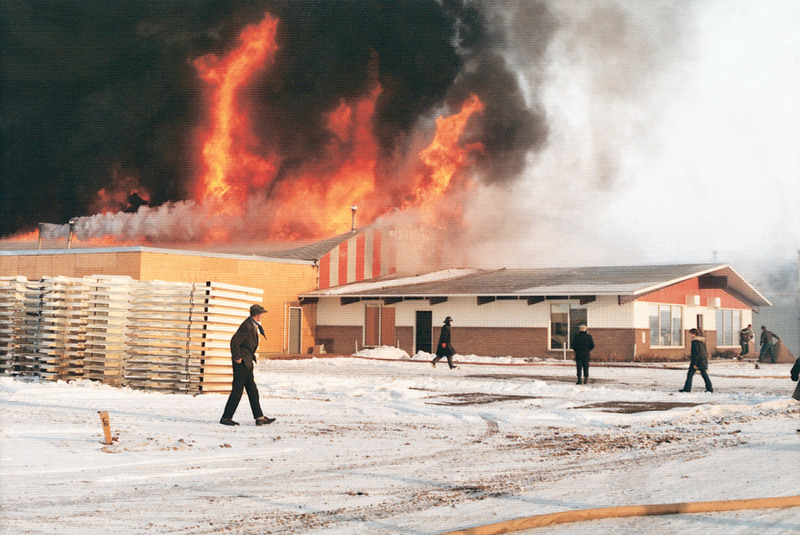 March 29, 1972 was undoubtedly the darkest day in the history of the company. An accidental, uncontrollable fire tore through Triple E’s factory, destroying the entire operation and claiming the life of the general manager of the motorhome division, Henry Schellenberg. As a result of the fire, 75 staff were laid off and the company contemplated shutting its doors. It was the dedication, loyalty and work ethic of those staff members that would come to characterize the Triple E community. The staff called a meeting with management and offered their labour, free of charge, to re-build the plant. Although this offer was not required, it was the generosity of these early employees that encouraged the management to rebuild. The 1970s saw tough times for the RV industry, with an oil embargo that drove fuel prices through the roof along with various economic ups and downs. As a result of this, in 1974, Philipp and P.W. bought back the company from Jim Pattison, and Triple E Canada was restored to family ownership. Business improved in the late 1970s and early 1980s. 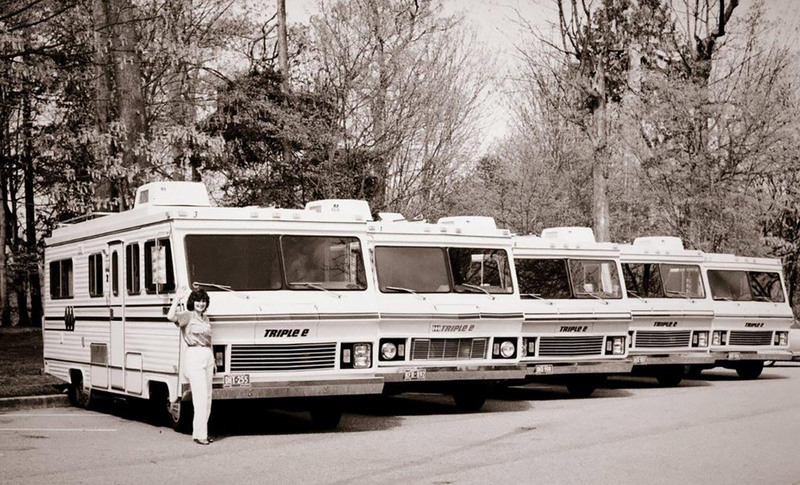 By 1981 Triple E was manufacturing more than half of the Class A RVs sold in Canada. During this era the company made various acquisitions of other manufacturers and factories in Manitoba, Alberta and Ontario. In 1989, inventory began to increase as the company started to feel the effects of the North American Free Trade Agreement (NAFTA). By 1993, US imports accounted for 85% of the RV business. Triple E responded by expanding internationally, targeting countries such as Sweden, Holland, Norway, Germany, and Japan, as well as offering a broader spectrum of products. 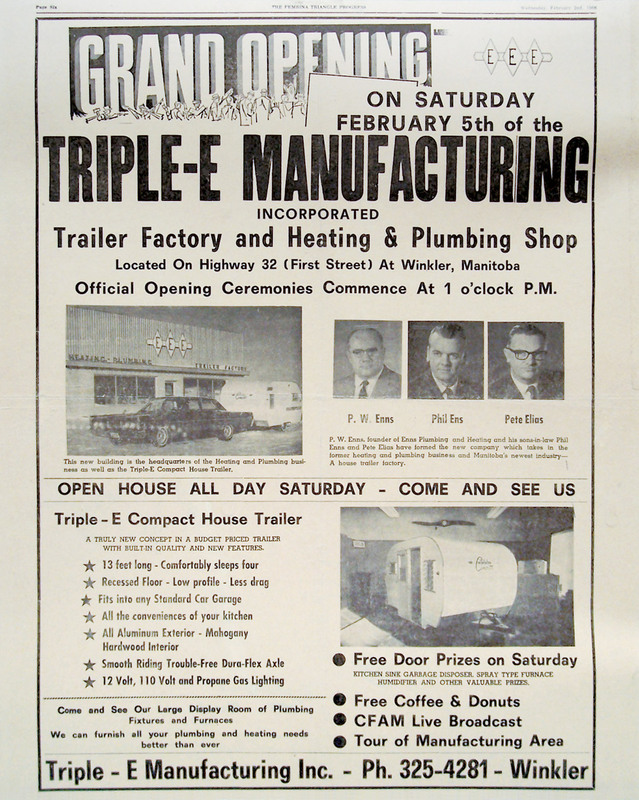 Triple E was soon to become the only Canadian manufacturer to offer a full line of RVs (Class A, C and towables). Product diversification has played a major role in Triple E’s growth and success. 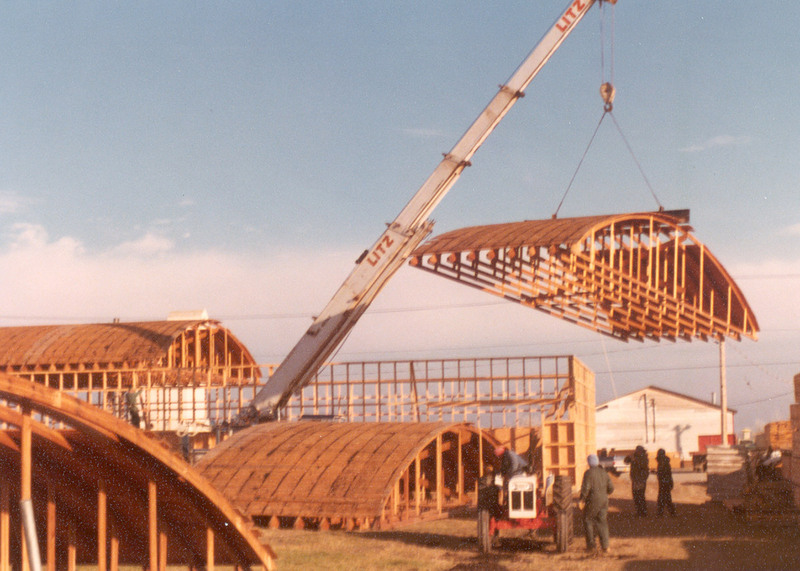 In 1980, Lode King Industries was established to produce commercial highway trailers for the transportation industry. This diversity not only ensures a fiscally strong company, but also one of continual vision, employing the benefit of trading expertise between divisions. Lode King’s dedication to cutting-edge product design and manufacturing equipment, combined with a strong and dedicated team of employees, has enabled the company to continually meet the evolving needs of the transportation industry. 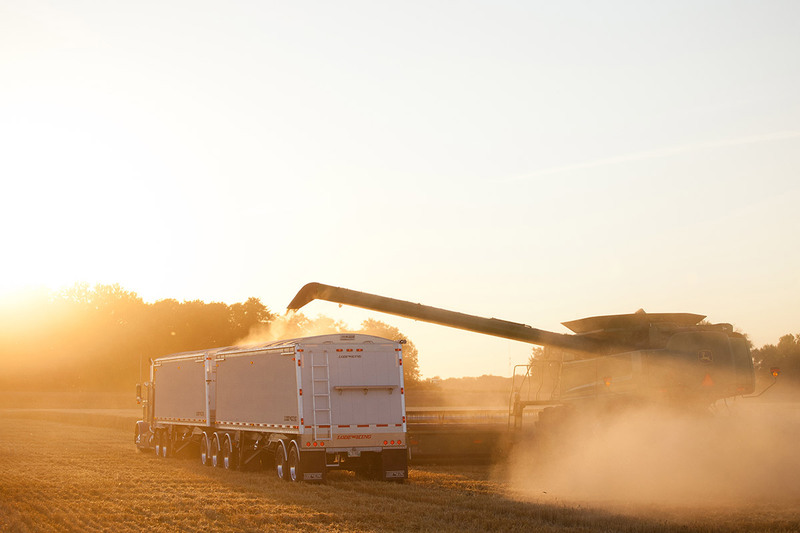 Today, Lode King’s extensive product lineup includes a wide array of ﬂat decks, drop decks, and grain trailers for a variety of industries and is the largest trailer manufacturer in Western Canada. As the twentieth century drew to a close, Triple E once again met a series of challenges with renewed energy, introducing many successful models throughout the 1990’s and 2000’s. These included the Class A Empress, Commander and Signature, the Class C Regency and Regency GT, and the Topaz line of fifth wheels and travel trailers to serve the towables market. 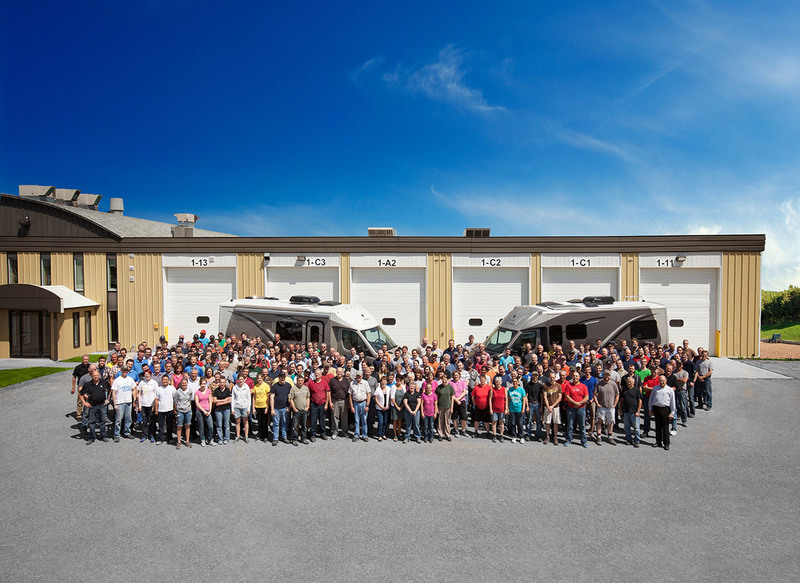 By focusing on product quality and customer care, Triple E solidified its name as one of Canada’s premier manufacturers of RVs. 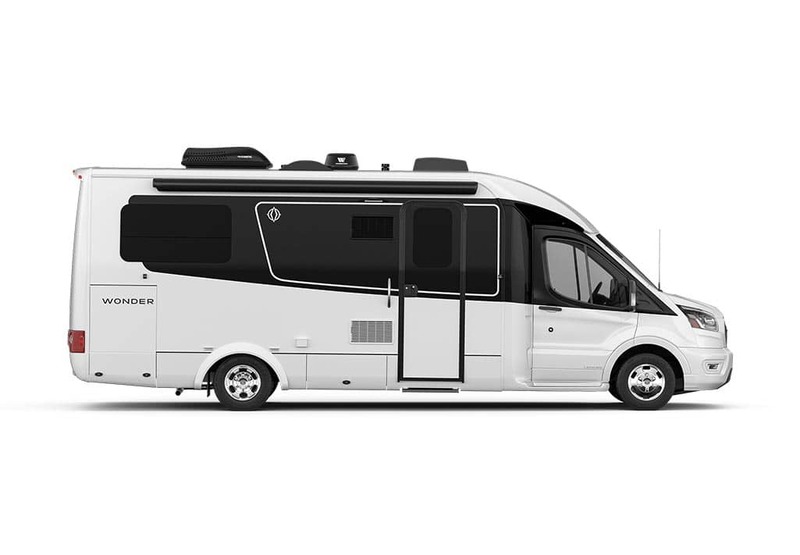 Consumer-pleasing innovations included the Empress SE’s aerodynamic design and Climate Guard system that offered true winterization with heated water tanks and expanded storage areas. 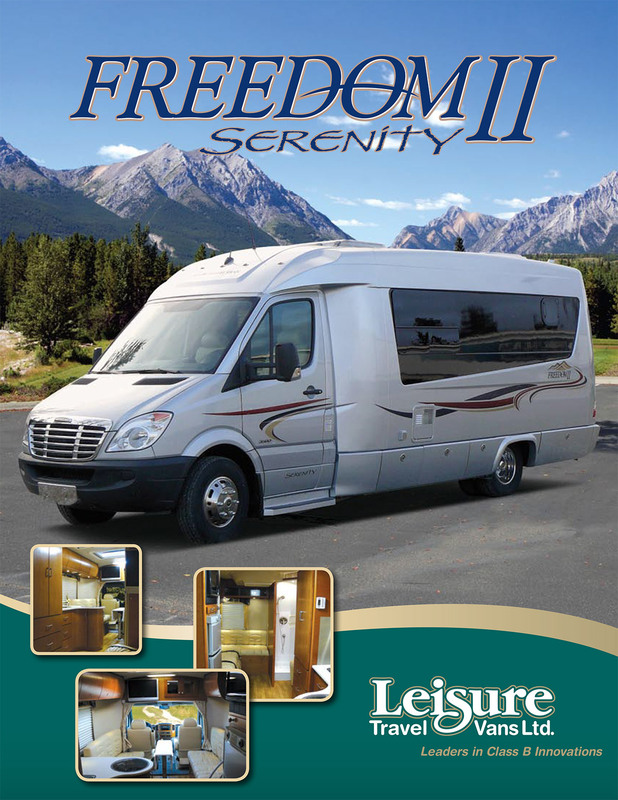 In 2008, Triple E acquired Leisure Travel Vans, giving Triple E a quality Class B and C lineup with an established presence in the United States. This acquisition allowed Triple E to expand its dealer network and target the United States market. Not long after, the great recession of 2008 devastated the RV industry. Manufacturers across North America closed their doors. 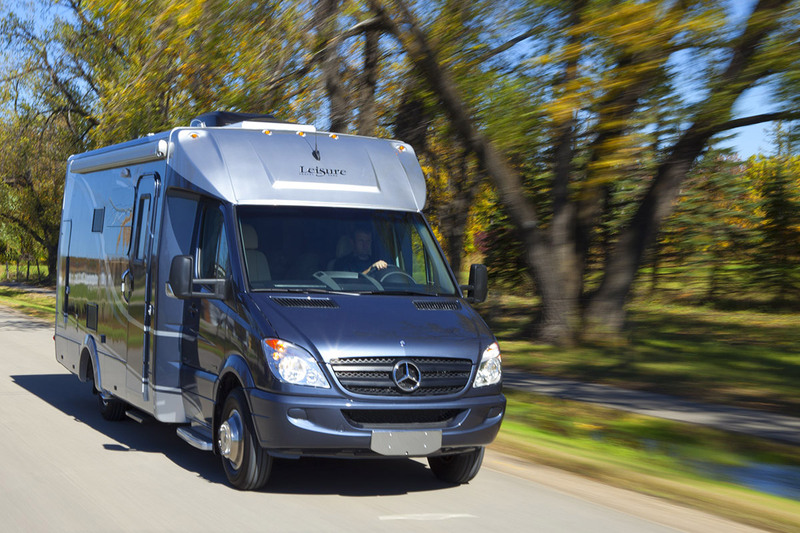 The North American RV market decreased by more than 50 percent, creating significant competition among the remaining companies. Like many others, Triple E’s RV division struggled to stay alive. 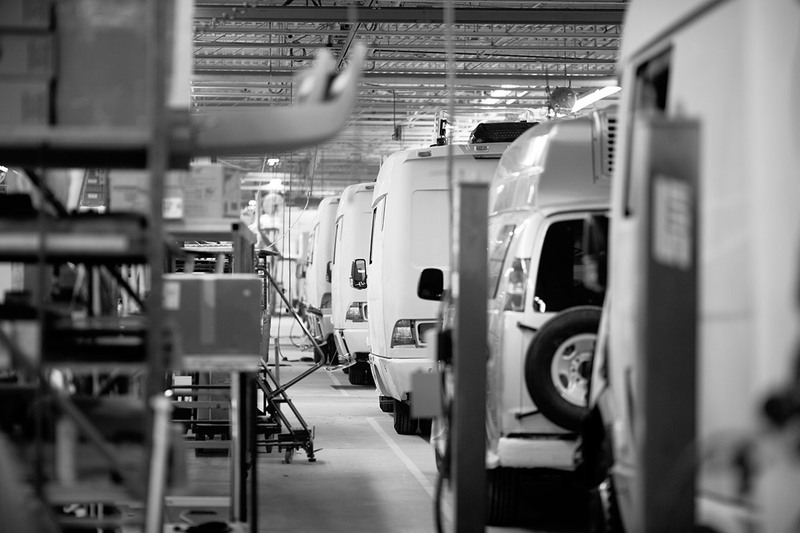 In 2010, the RV division completed its consolidation of Triple E RV and Leisure Travel Vans into one operation. Due to the tough economic climate, Triple E made a strategic decision to discontinue Class A, travel trailer, and fifth wheel production, focusing solely on the Class B and C markets. All products would be constructed on a motorized chassis, streamlining production. 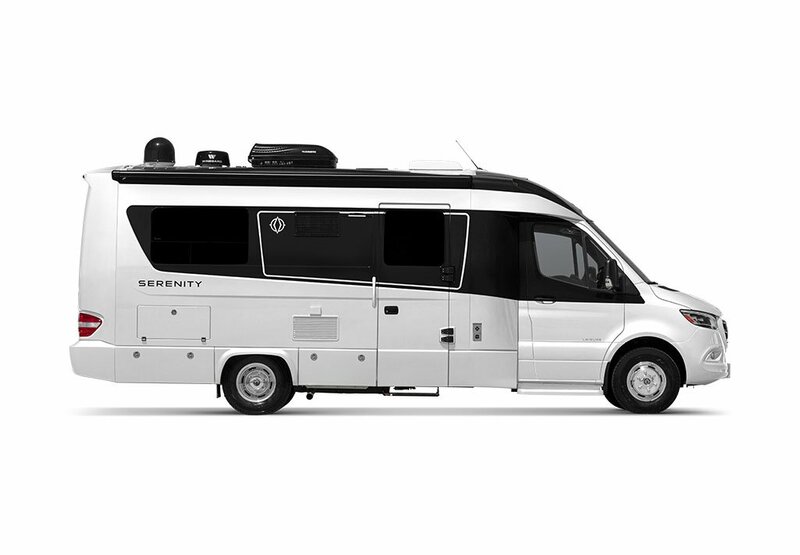 2009 brought the introduction of the revolutionary Unity U24MB, which featured the first automated Murphy Bed in a 24' Class C motorhome based on the Sprinter chassis. The Murphy Bed floorplan allowed for features such as a residential bed, a spacious front living area, and a large, separate bathroom. The product name Unity was chosen to reflect the joining of Leisure Travel Vans and Triple E RV as it was the first product to be fully designed and manufactured after the consolidation of the two companies. 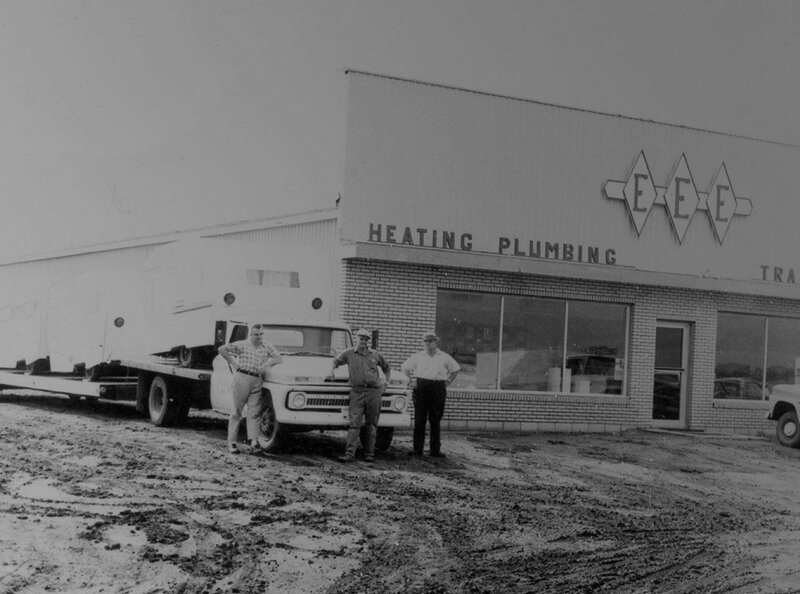 From day one, Triple E has been a family company that strives to inspire dedication, loyalty, and work ethic. We have worked on building a culture where community is of utmost importance and we are fortunate to be located in an area with a rich cultural heritage. Our employees are highly skilled craftspeople with incredibly strong work ethic and unwavering dedication. Our mission is to create innovative, premium quality recreational vehicles designed and manufactured by a dedicated team. Today we look to the future with renewed energy and optimism. Our company has strong leadership and an excellent workforce. Our products are recognized as some of the finest in the industry. The next generation of our company is driven by innovation while remaining committed to our long-standing history of quality craftsmanship.  Over 50 years later our vision remains committed to being a premier company. We’re inspired by the freedom to explore and driven by a commitment to growing our community. May you experience the joy of companionship, surprise and adventure, as the road leads you on your journey ahead.